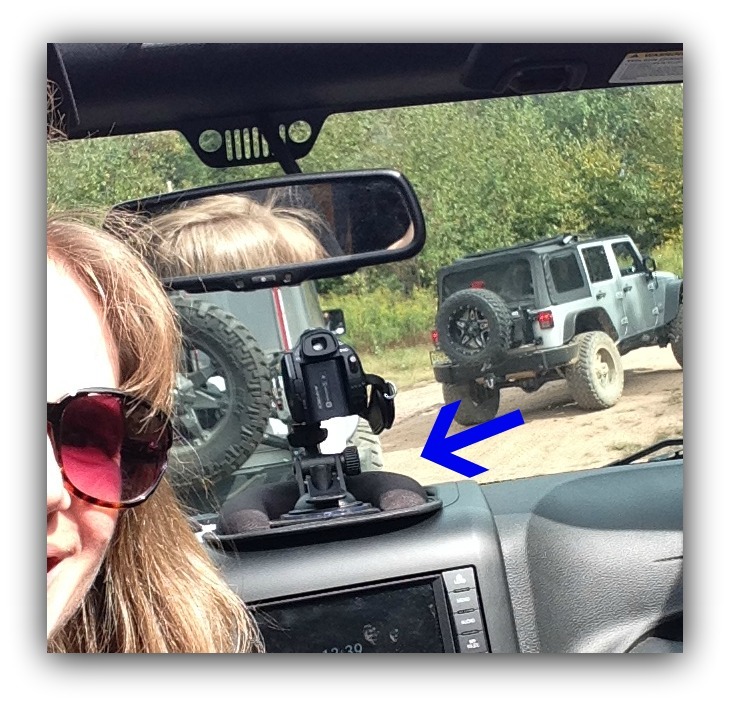 Jeep Momma - Blog: New Awesome Camera Mount!!! 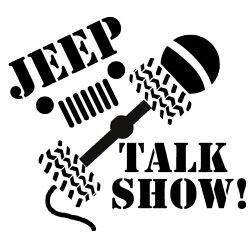 During my Wrangler Talk Segment on Episode 269 the Jeep Talk Show Podcast, I shared my system for recording my Jeep trail rides. 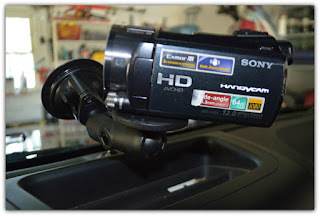 I like using my "old fashioned" Sony HD Handycam. 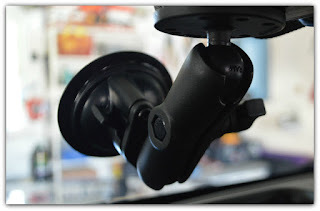 The suction cup mount I use isn't too sturdy. It's mounted to a weighted base which just sits on my dash. 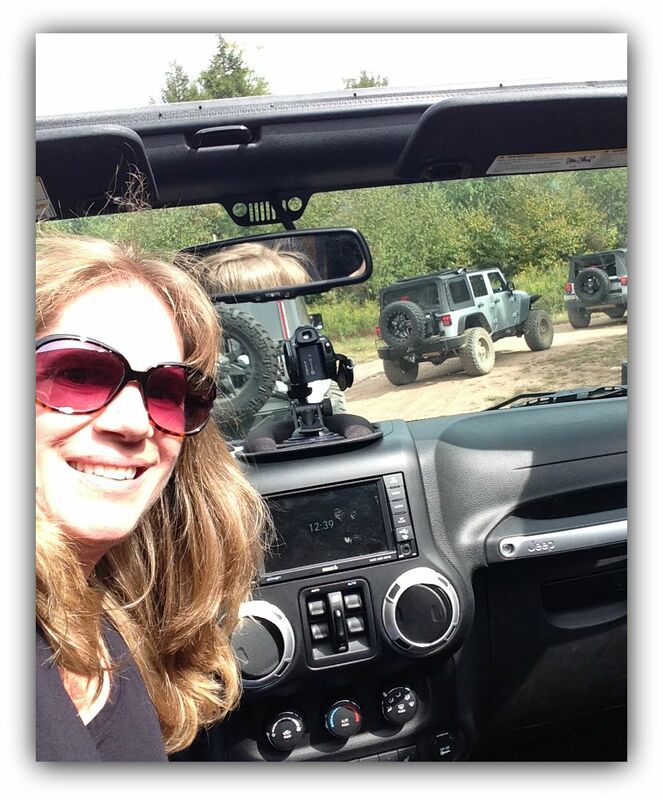 Well... that's not too safe when you are wheeling in your Jeep up and down steep hills or over rocky paths. There have been several times it has fallen off. 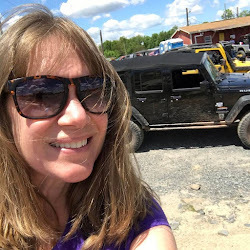 A fellow podcaster heard my segment and responded on twitter with a suggestion. I decided to check out the mounts Dan Cole from the 4 x 4 Podcast suggested. 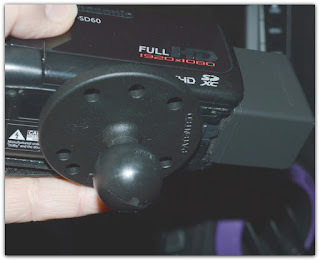 After I saw Dan's video I headed right over to the Ram Mount website. 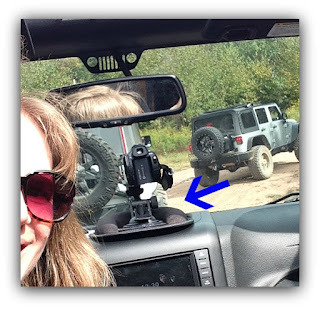 I bought the Ram Mount Suction Cup Twist Lock Base to mount my camera to the windshield of my Jeep Wrangler. 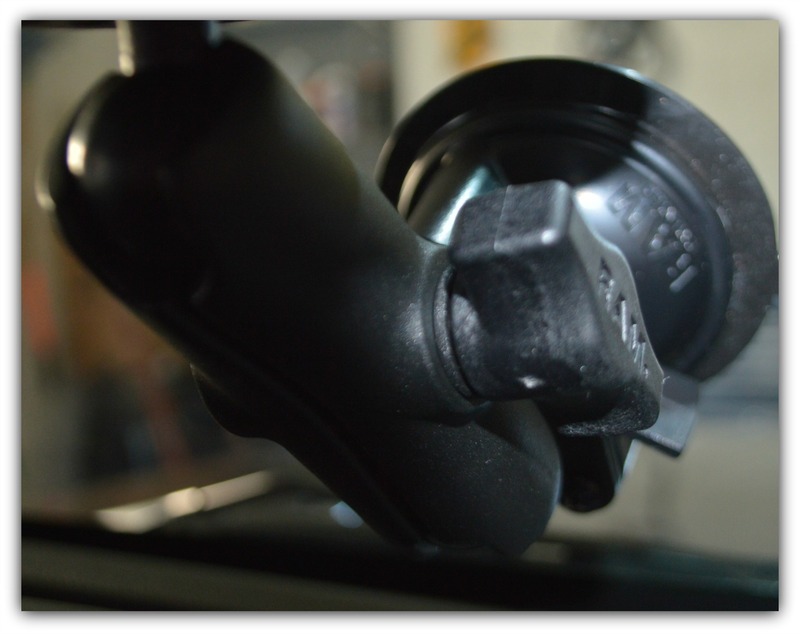 The twist lock is super easy to secure to the windshield. 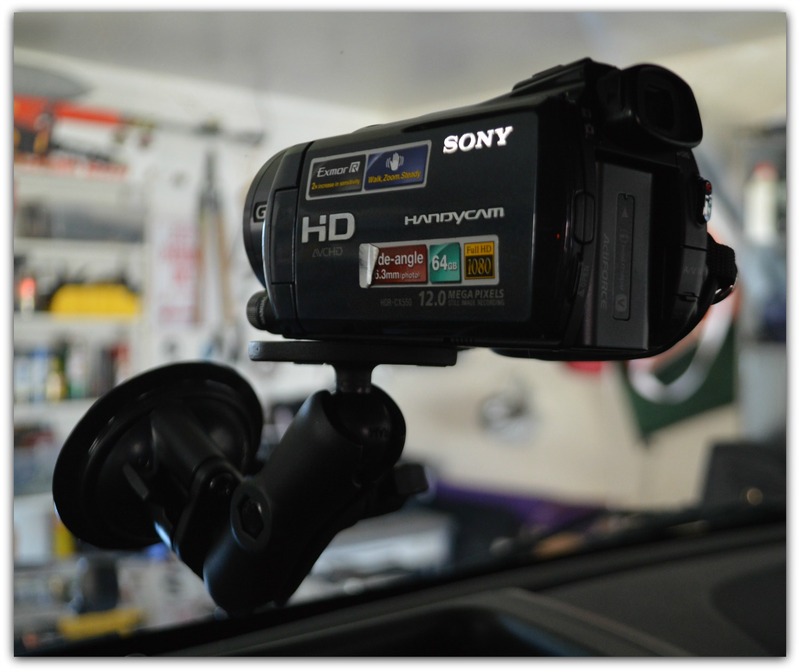 It is Designed to have a strong hold on glass and non-porous plastic surfaces. And boy does it. It is extremely secure. This mount is versatile. It is designed with a Ram 1" diameter patented rubber ball and socket system that has adjustment points at both ends of the double socket arm. This allows for almost infinite adjustment and perfect viewing angles. I can move my camera with ease to change the angel any angle. The socket arm is compatible with all 1" ball bases and adapters. Which I bought the base with a male post for cameras. This ball attachment comes with a round plate and camera thread. It is a universal camera and camcorder base. Works perfect with my "Old Fashioned" camera. 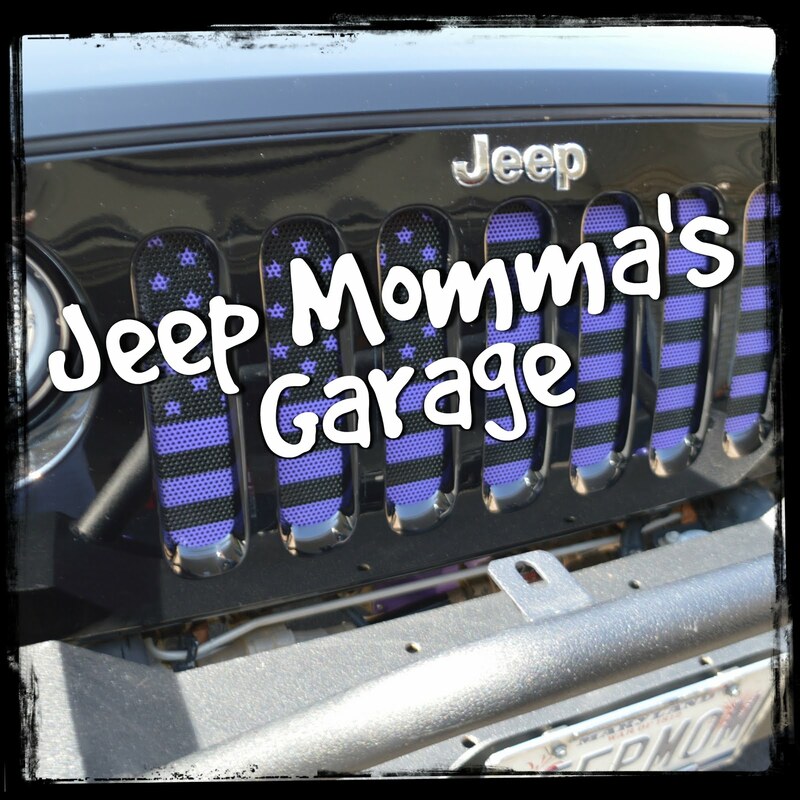 I can't wait to test it out on the trails! This is the perfect solution for me! I give is a two thumbs up. 10 out of 10 stars! Thanks Dan! Great tip!